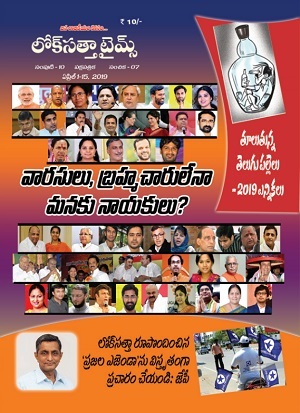 Loksatta Party national President Dr. Jayaprakash Narayan will undertake road shows in Kukatpally constituency from 8.00 a.m. to 1.00 p.m and in Medchal constituency from 3.00 p.m. to 10.00 p.m. on Tuesday, April 22. In Kukatpally constituency he will cover Parvath Nagar, Allapur, Borabanda and Motinagar in Motinagar division. 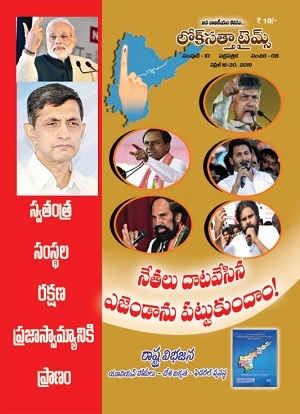 State Loksatta Party President Katari Srinivasa Rao will also take part in the road show. In Medchal constituency Dr.JP will cover Keesara chowrasta, Rampalli, Satyanarayana colony, Nagaram, Siddhartha colony, Dammaiguda and Saipriya colony.